In a previous post, Schlage and I revealed the 10 things burglars don’t want you to know, and guess what, there are 10 more! If a burglar can hear your TV or sound system, chances are pretty good he’ll think someone’s home. 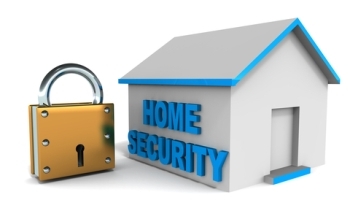 Don’t rely only upon your state-of-the-art alarm system. An alternative to leaving a TV on while you’re on vacation is to use a device that generates a simulation of the flickering lights of a TV at timed intervals. Burglars don’t mind taking the entire safe with them if they’re too impatient to figure out how to crack it. Bolt it down. A barking dog really does deter break-ins. So do nosy neighbors. A one-time loud noise (like a window being broken) almost always doesn’t compel a neighbor to investigate. If it happens continuously or even just a second time, he usually will. However, a burglar is inside your house after just one window smash. Yes, a person casing your neighborhood for break-ins looks like the guy who would never do such a thing: clean-cut, maybe dressed in a workman’s uniform with a fake logo, carrying inspection equipment to make himself look legit. No errand is too short to leave the alarm system turned off. A burglar can invade your home and steal your valuables in a lot less time than it takes you to run the shortest errand. Products that you don’t have to arm, like the Schlage Touchscreen Deadbolt with a built-in alarm feature, can also help out when only stepping out for a short amount of time. Ignoring a knock or doorbell is a smart idea, but leaving the door unlocked—even when you’re home—isn’t. Many burglars will try the door if nobody responds. If it opens, they’ll enter. No matter how hot the day is, never leave a window open even a tiny bit when you’re away. Burglars can’t resist this. Article originally published by Huffingtonpost.com on 1/30/2014.